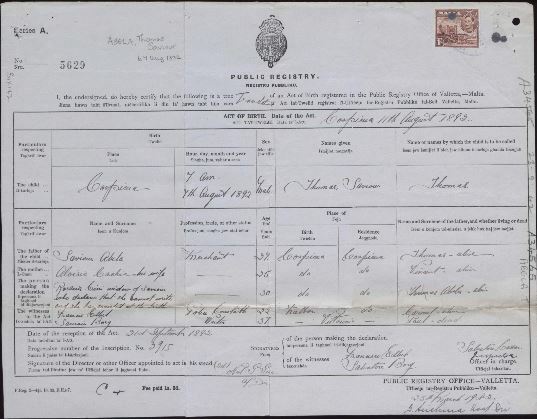 These vital records are for established civil servants and civil service examination candidates, collected by the Civil Service Commission (CSC) from 1855 in order to establish accurate birth dates for the purpose of either ensuring that an examination candidate was of the required age, or granting a pension. The CSC still held original documents by the 1980s for approximately 60,000 individuals, consisting largely of items that it would be impractical to replace, such as personal testimonials or documents from overseas. This important genealogical collection was deposited at the Society of Genealogists (SoG) and provides unique and often irreplaceable evidence of birth when other sources are unlikely to be available. It is estimated only 2 percent of the papers originally held by the Civil Service are contained in this collection. The remaining 98 percent were destroyed by the Civil Service. This vital records collection spans evidence of birth from 1752 until the twentieth century, although the majority of births recorded took place in the nineteenth century. Many candidates for the Service had been born in places and at times when no state registration of births existed, as is the case for Scottish and Irish candidates and for those born in foreign countries, on board ships (more than 80 births) and in the British colonies. The original documents appear in a variety of languages other than English, including Dutch, French, German, Italian, Latin and Swedish. The Society of Genealogists is grateful to all those volunteers who participated in the creation of this index. Colin Gibbens instigated the project and worked on it from start to finish.